Sharing this on World Environment Day makes it all the more special. It was August 2012 when my mom called me downstairs to watch a video that she had seen online. 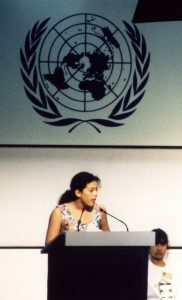 It was a video of Severn Suzuki, when she was speaking at the United Nations Earth Summit in Rio De Janeiro in 1996. At just 12 years old. Severn was passionate about the issues facing the environment. I was a bit younger than Severn, but everything she said hit home for me. I had just launched my blog and my goal was to share what I was learning about the environment and ways that I was adopting eco-friendly habits. 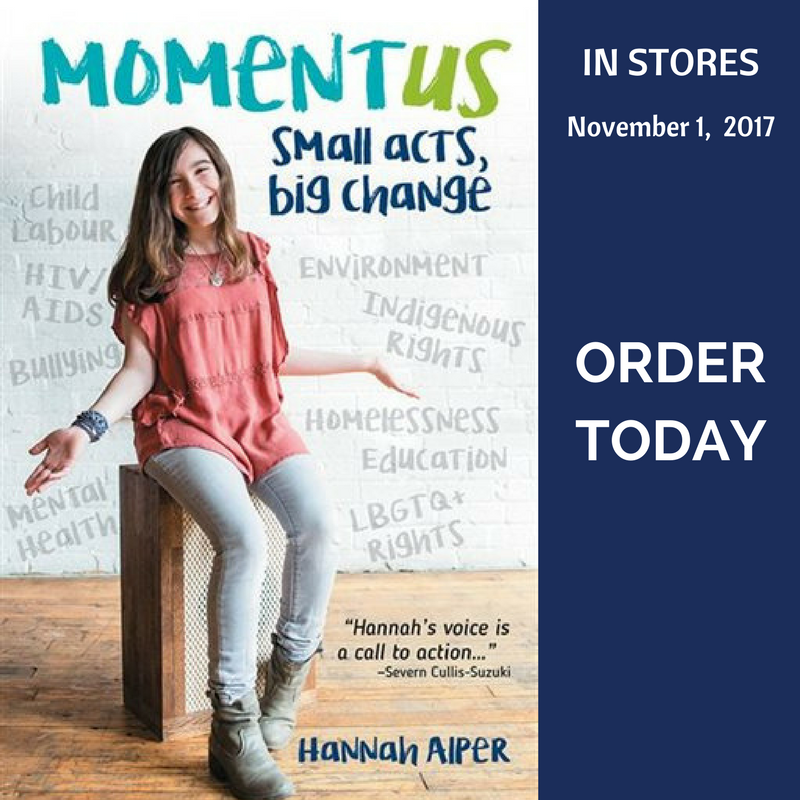 What I saw that night was more than a young girl who shared the same concerns about the environment as I did – she was really speaking up and people were listening. After that speech, Severn was called “The Girl Who Silenced The World For 5 Minutes”. She was a prime example of a young person creating change and when I watched that video, she was one of the first youth I saw making a difference. That same night that I watched her video, I wrote a blog post, Tonight I Found My Role Model. That is when I realized how essential role model’s are in a person’s journey – whatever journey you’re on. Severn was my first role model and she impacted me so much that to this day, I still talk think about that night and the spark that it lit in me. I have had many years to wonder about this. I think that it speaks to the power and the need of the voice of children. They remind us of what is truly at stake. They cut through all the rationale we adults give for the destruction of the world. And today, as a mother, I now know why that speech hits people so hard: there is nothing that parents love more than their kids. I still believe that if we can connect people’s love for their children with what we are currently doing to their future, people will have to change their ways. That speech to the UN in Rio was 25 years ago. We have made progress with environmental issues, but we still have a lot of work to do. There are millions of youth around the world that are taking action on this issue, and we all need to contribute our impact. We all need to stand up and speak up. Both Severn and I believe that youth are not the leaders of tomorrow, but the leaders of today. To celebrate this very special anniversary of the iconic speech she gave, Severn has launched the #RioRemake, where young people of this generation deliver the same speech Severn gave, submit it and then they have the chance to be featured in a video remake of it featuring many young voices of the next generation – our generation. I was so excited when I found out that Severn was doing this, I knew I had to do it! You do too, right? There is more information about getting involved, filming your video and sending to to Severn on her website. In terms of timeline, she’s hoping to receive notices of interest before school ends, so the videos can be received in July, edit the compilation video in August, and release it in the fall. Today we hear of animals and plants going extinct every day, vanishing forever. In my life, I have dreamt of seeing the great herds of wild animals, jungles and rainforests full of birds and butterflies, but now I wonder if they will even exist for my children to see. Did you have to worry of these things when you were my age? All this is happening before our eyes and yet we act as if we have all the time we want and all the solutions. I’m only a child and I don’t have all the solutions, but I want you to realize, neither do you! You don’t know how to get the carbon out of the atmosphere. You don’t know how to bring the salmon back up a dead stream. You don’t know how to bring back an animal, now extinct, and you can’t bring back the forests that once grew where there is now a desert.